Miguel Gaspar, the Deputy Mayor for Mobility and Safety of Lisbon explains the main pillars of the cities' transport policy. Lisbon is currently developing its SUMP. The vision building phase has been completed as well as data collection. The city has a very clear strategy of moving forward with public transport as the backbone of urban mobility and a strong focus on active transport. The increase in the share of walking within the last 5 years is impressive and completely against the trend in many other cities. The focus on public space with it’s “One Plaza for each neighbourhood” - Program certainly can be seen as a success story. 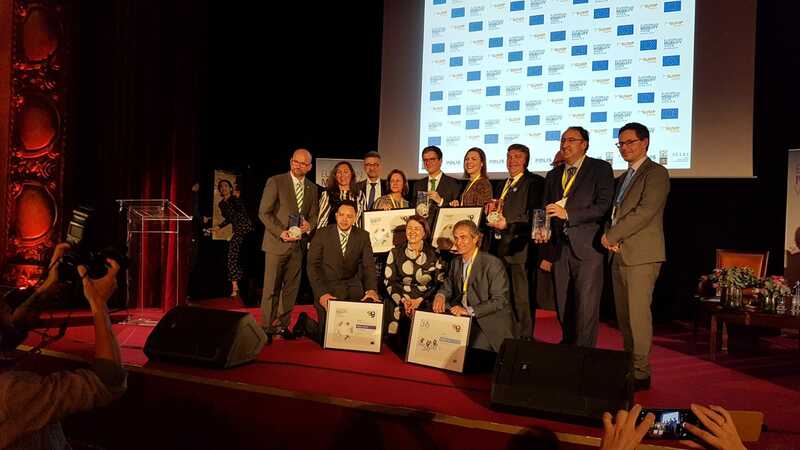 Lindau’s mobility planner Jaime Valdés-Valverde talks about what the city did to win the 2018 European Mobility Award for small municipalities. Based upon the Climate Protection Strategy Lindau developed a SUMP by using all available options for a small municipality. The great variety of measures and actions range from constructional and technical oriented improvements like Bike&Ride stations at all PT stops to a vast public participation process to guarantee support of the citizens. EUROPEANMOBILITYWEEK was used to test new measures to the user’s acceptance.